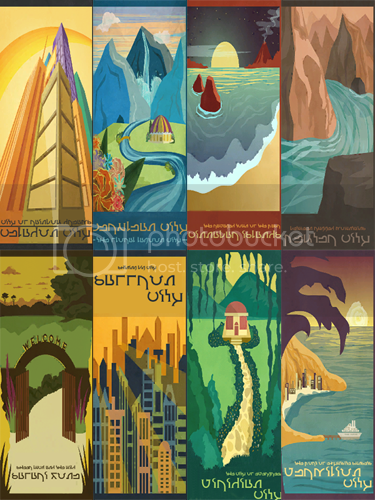 I came across these posters and I'm a sucker for both pokemon and travel posters. One thing though, they were in English. They're on a mesh by An-Ye (in the industrial chic set, you can find it in game for $2 in deco/paintings). The artwork is by little pixel poster. Thank you! :3 I'm glad you like them! 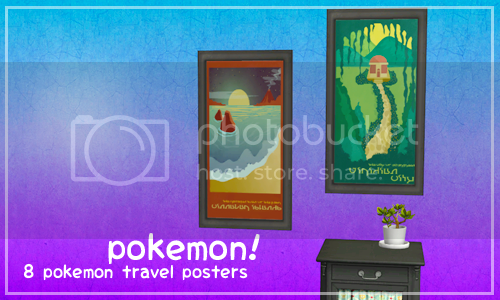 There can never be enough Pokemon in my sims game :D Glad you like them!